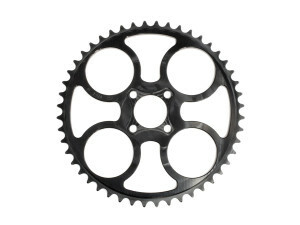 These replacement chainrings are machined out of precision ground American 6.3mm thick aluminum plate. 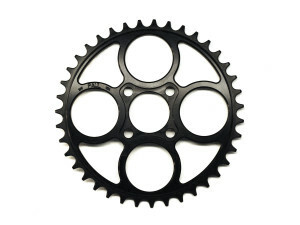 They’re designed to fit our crank sets only and 1/8″ chains. Two different patterns and four different sizes are available. 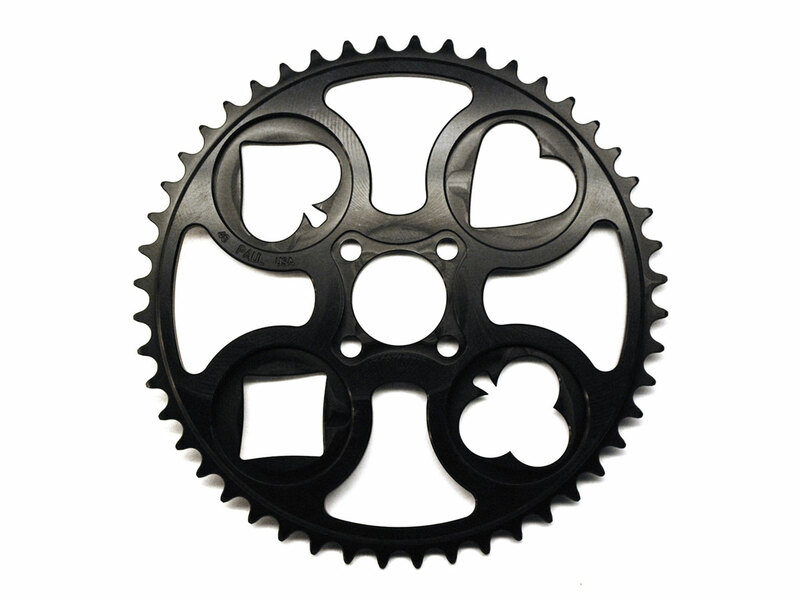 32 through 48 tooth rings are available with a Circles pattern, while 46 and 48 tooth rings are also available with our “Royal Flush” card suits pattern. 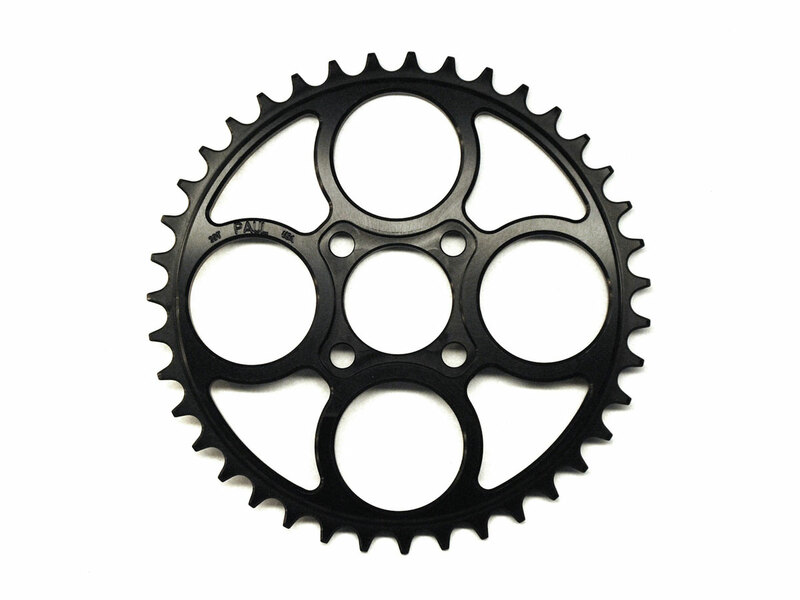 If your crank is the newer style (introduced in February of 2010) with Torx T25 chain ring screws and a thicker spider, your chain ring can be replaced. 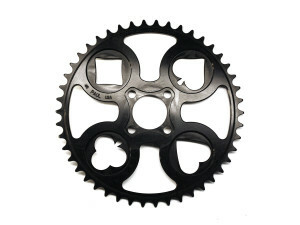 Please note: if you have an older crank with hex head chain ring screws, we do not recommend replacing your chain ring. The threading on the drive-side crank arm can become damaged and strip during re-assembly.